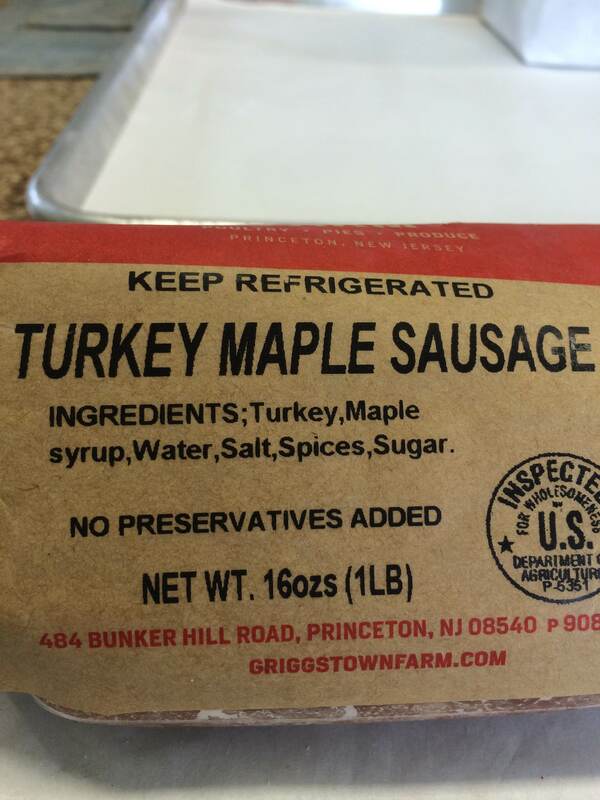 Looking for something to do with the Griggstown Maple Turkey Sausage? Breakfast sandwiches are the way to any morning person’s heart! 1. Thaw the sausage and put in a bowl. 2. Make patties, the size of an English muffin. 3. Cook patties in Olive oil in a pan until both sides are lightly browned, check inside temp. should be 165F degrees, check inside for no pink if you do not have a thermometer handy. 4. Toast your english muffins with a bit of butter (or coconut oil if you don’t eat butter) in the pan.